Not many people can locate the point in their life that turned them around and pushed them to be who they are today. I can.  I know that without Generations Against Bullying (GAB) I wouldn’t even know how to find who I am today let alone become this person. I joined GAB when it had first become an organization. I was at the end of my eighth-grade year and fearful for what high school would bring me. I remember one of the times we met as a group, we discussed how there can be bullying within the home. Throughout the discussion, I couldn’t stop thinking about my alcoholic father. I had flashbacks to when I was younger: I would attend school and sit in class, fearful of what I would experience in the upcoming weekend. I knew I’d be on edge no matter what I chose to do. I was never allowed to be free of what my father thought was right while suffering his abuse. Abuse that had me constantly worrying. Would I only eat 1-2 meals all weekend? Would I have to lock myself in the bathroom with my sister while running away from my father’s raised hand? Would I have to endure a few more words thrown my or my sister’s way about how we were failures, lazy, not smart enough, and terrible? Would I have to listen to him bash my mother, who I love dearly? These worries turned to fear. Fear that caused me to be very withdrawn. I lacked the self-esteem and confidence to stand up to him and express my deep-rooted feelings that I no longer wanted to tolerate the abuse and that I needed to stop seeing him. At that moment I finally came to the realization that my father was a bully… my bully. I realized that the only way to get myself out of the situation with him would be to upstand for myself. So that fall, I called my dad. Through tears, I identified all the things that he did to destroy my self-esteem, I explained that I couldn’t see him anymore, that he was the most negative part of my life and was preventing me from discovering myself. His reply was with disgust, “I don’t know where this is coming from but if you’re going to be this rude I don’t ever want to see you again” and then he hung up. Not two minutes later he called back to simply ask when the next time we could meet was, forgetting about the extremely emotional confession I had just told him. At that point I grasped the reality that I will never know whether he truly listened to the words I told him, for I never did hear an apology. Despite his lack of recognition that he was at fault, I was free from the bully in my life. I never would’ve been able to stand up and liberate myself from this bully if it hadn’t been for GAB holding my hand throughout that break. With this moment of clarity, I was able to set out on a mission, one that included teaching others to become upstanders for themselves and for others. I realized that with this new frame of mind I wouldn’t only be able to help myself become a stronger person, but I can help many others do the same. GAB was the passage I was given to complete this mission. The last four years have been a journey for both myself and GAB. 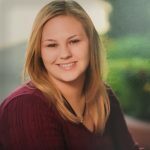 It was difficult for people to accept that we could do something about bullying, a topic that was shoved under the rug because it was “just a thing everyone went through.” Throughout the bumpy journey I never lost sight of my quest to help others. I was left with a motivation to figure out the solution to treating this social knot. I had an epiphany, and determined that the solution was to grow confidence, courage, and a sense of efficacy within people, which would therefore build their resistance to bullies. I would work closely to Mrs. Linda Lee, GAB’s Executive Director, to ensure that by the time I left high school we’d have a solid club, up and running within my high school, so that if ever necessary GAB would be there to help another as it had helped me. My junior year we’d realized the importance that the message needs to be for the peers by the peers. 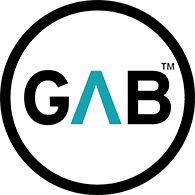 Each month I, along with some of my peers who had been in GAB since the near beginning, would plan our GAB monthly meetings and activities for the Peer Ambassadors program. We planned and presented these meetings around different types of bullying and upstanding, in hopes that our Peer Ambassadors, general members of GAB, would internalize our lessons. In hopes that they’d be able to use our suggested upstanding tips in their lives to upstand towards one of the various types of bullying that we had covered. It is impossible to measure the impact that these lessons have had or will have in their lives because sometimes upstanding is so quick and subtle. This doesn’t erase its importance. It only emphasizes it. It emphasizes just how amazing it is that bullying can be stopped so quickly with the use of only a few words and some courage.  My passion with GAB’s mission continued to grow deeper as the years went by. I needed to help implement the message of upstanding within other schools. So, when Mrs. Lee had offered for me to research and work on curriculum and lesson plans, I jumped on the opportunity. We created a thorough book that would represent the GAB program. In it we separated and walked through various types of bullying and how to approach these topics with a Peer Ambassador group. For each lesson I’d include suggestions for activities, videos, statistics, and what would be important to emphasize. There was also a section on how to elect a Peer Ambassador Board within their club, so that they too could have the peers creating and teaching the lessons to their members. Finally, we developed a section that would help a Peer Ambassador group travel to the younger schools within their district, such as the middle and elementary, to get the younger students informed about how to approach bullying in a non-threatening and effective manner through upstanding. My thorough GAB curriculum with the help of Mrs. Lee we could present to other schools, so that they too could gain a GAB program and help start spreading the lesson of upstanding to students across Wisconsin and potentially America. We knew that having a large aspiration such as spreading our message to the nation would be difficult to achieve, but it never stopped us. We have continued to persevere through any obstruction that is in front of us. Yes, obstructions have delayed us from reaching the ultimate goal of making a change within the nation, but I know for a fact that it hasn’t nor, will it ever prevent GAB from being heard. I started in GAB as a shy girl who could never imagine helping lead something so powerful. Now, I’m the one who starts off conversations with people she’s never met. I’m the one who spends her free time volunteering, not twiddling her thumbs with nothing to do. I’m the one who isn’t afraid to go for a position that she thinks she’ll never get, rather than reminisce about what could’ve been. I’m the one who has grown to be a confident and selfless individual who couldn’t be prouder of herself. I’m the girl who has discovered herself and the life she wants to lead, and I wouldn’t be this person if it weren’t for this organization. Thank you, GAB, for making me, me.